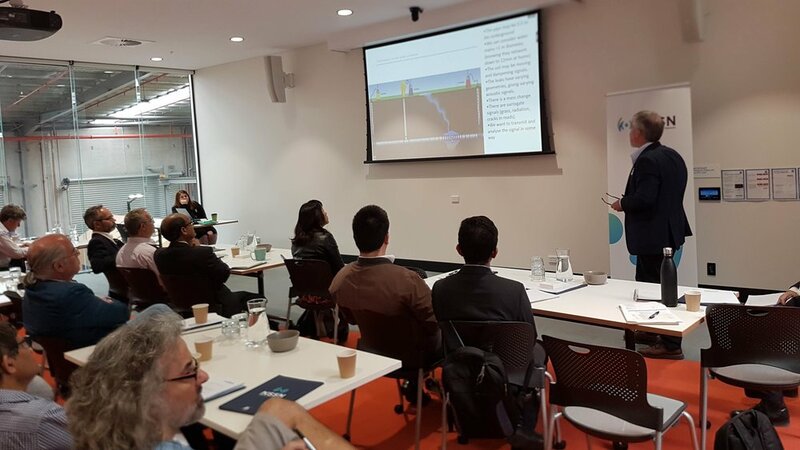 The NSW Smart Sensing Network, in collaboration with Sydney Water, brought together 50 key players in the water industry, infrastructure providers, government and universities to discuss innovative solutions for better prediction of leaks and breaks in water mains. Pipe leaks and breaks are a billion-dollar problem for water utilities. Finding a robust and innovative solution to this challenge is made even more critical in the context of the current drought in eastern and southern Australia. If water utilities are asking customers to conserve water, then utilities themselves must be seen to be addressing their own water loss through leaks and breaks. The challenge facing water providers is to enhance the prediction of critical water main failures to reduce and ultimately avoid catastrophic failures. The NSW Chief Scientist and Engineer, Professor Hugh Durrant-Whyte, urged participants to explore new sensing technologies to discover cutting-edge solutions to this costly problem. The goal of the workshop was to agree on the scope and key deliverables of a collaborative project, built on a combination of out-of-the-box thinking on early technology readiness concepts, and research corresponding to the higher levels of technology readiness. Senior representatives from Sydney Water, Hunter Water and Southeast Water were joined by university experts, and industry representatives to develop workable, fundable solutions. The workshop sparked great debate and even greater ideas around smart sensing solutions to predicting and preventing failures in water pipe networks. A shortlist of collaborative projects will be composed and presented to water utilities in the near future. The event was held in the recently opened UTS Tech Lab in Botany, a state-of-the-art facility that provides space for university research and industry know-how to work side-by-side.